The west pit at Colowyo provides a plethora of black gold for the company to mine — all of which eventually makes its way to Craig Station. The 3,100-ton walking drag line administers heavy digging, lifting and shifting of coal and other minerals found in the pit. The machine has steel legs that actually pick up the body and walks itself around the mine. Entering the surface mine at Colowyo Coal Company is like embarking into a world of oversized Tonka trucks that dig and transfer thousands of tons of coal from one section of the mine to another. In other words — it’s a robust operation that would fascinate the eyes of a young child who is obsessed with monster trucks. That’s an extremely simple way to describe the work done at Colowyo, which utilizes massive machinery such as haul trucks, bulldozers and mining trucks — to name a few — to facilitate its mining operations. Colowyo is owned by Tri-State Generation and Transmission Association which also owns and operates Craig Station coal-fired power plant in Craig. Located between Craig and Rifle in Meeker, the coal mine paid $28.2 million in 2013 to its 259 workers, 75 percent of whom are from Craig and the rest of whom are mainly from Meeker and surrounding areas, according to Tri-State figures. The surface mine supplies coal only to Craig Station, producing roughly 190,000 tons of coal each month that’s shipped to the power plant where it’s turned into energy, supplying electricity to Tri-State’s cooperative members. The mine opened in 1978, and has transferred hands a couple of times before Tri-State bought the operation in 2011. It now produces more than two million tons of coal per year from 12,000 acres of land. Currently, Colowyo is trying to expand its operations and is going through an environmental assessment study administered by the Bureau of Land Management to mine a new site known as Collom. The environmental assessment process takes around two to three years before the land can actually be mined. Colowyo is one year into the assessment. It’s all a part of the process to get final approval to mine that are. Monitoring workers safety and environment protection is at the top of Colowyo’s list, according to the mine’s executive staff. The Mining Safety & Health Administration (MSHA) regulates the mining industry, which sets standards of conduct and safety for mines across the United States. Over the years, coal mining injuries and fatalities have fluctuated, and the number of deaths in mines throughout the U.S. dropped significantly in 2014, according to MSHA. In 2010, there were 48 coal mine related fatalities and only 11 so far this year. Colowyo’s last fatality was in 2012, when a worker was killed after loosing control of a water tank truck. MSHA required that Colowyo boost its training on such equipment, and it did, according to the MSHA report. As a part of its environmental protection and safety program at Colowyo, large water tankers patrol the mine every day, spraying large quantities of water on mine roads to keep the dust levels at bay, as required by law. Environmental protection also includes land reclamation. After Colowyo removes coal from various coal seams in the ground, miners are required to return the land back to its original state before it was mined. 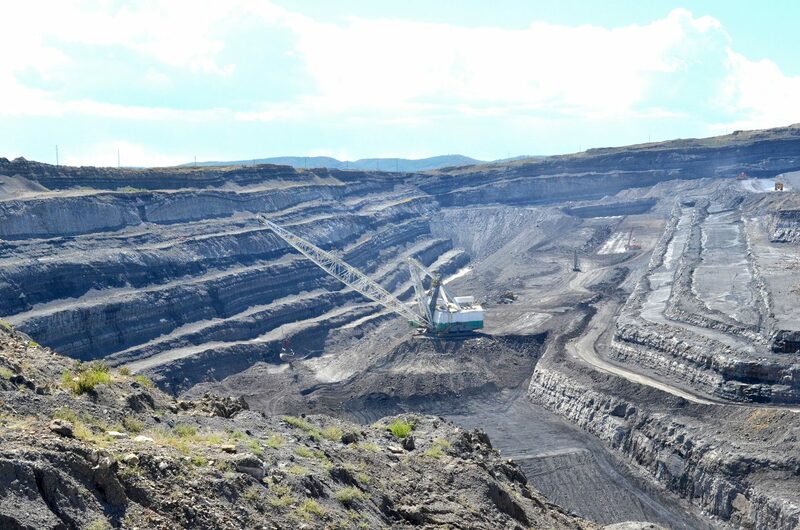 Essentially, the open pit mine is filled back up with the soil and dirt that was removed, contoured and reseeded. That means, if you were to fly an airplane over the land prior to the mining process, and then fly over the same area after the reclamation process, which requires a minimum of 10 years — it will look as if the land was never disturbed. Reach Noelle Leavitt Riley at 970-875-1790 or nriley@craigdailypress.com.